Yesterday, the United State Department of Agriculture (USDA) fully deregulated Round Up Ready (Genetically Modified Organism or GMO) Alfalfa. The organic community has actively been trying to either stop the full deregulation or at the very least provide protection for organic farmers. Let’s back this conversation up a bit and talk about why this even matters. The concern stems from the fact that alfalfa is pollinated by flying insects (such as bees) that can have a flight distance of over two miles. When insects transfer pollen from one plant to another they are transferring genes. But really a plant doesn’t have the new genes, just the seeds do. In any dairy operation I know alfalfa is cut LONG before seeds even think about forming. Actually, we try to cut before bloom. This is when the alfalfa is most nutritional for our cows. Want to learn more about how alfalfa grows? Read this blog post by a rancher friend of ours: Jeff Fowle. So why the big fuss then? There are two camps: First camp is those that have a deep hate for all things GMO and will cry outrage at the mere mention of the thought, sometimes without fully knowing why. Second is the one that holds the most water: GMO contamination of alfalfa seed stock could be a real possibility if strict precautions are not taken. Up until today, and still on into the future, the organic community has been/is working to put policies/restriction/etc in place to minimize the risk of contamination of seed stock and to protect organic farmers. If seed stock isn’t protected the price to plant alfalfa seed could sky rocket, which would mean less planted or a huge increase in cost of production. Yesterday, a well read consumer advocacy group for organics published a post that somehow said that Organic Valley and several other organic companies “sold out” to Monsanto (the makers of the GMO alfalfa technology). The crazy thing is, the USDA hadn’t even made their announcement yet. Here are the facts: after a court order, the USDA was ordered to conduct a full Environmental Impact Statement (EIS). This report took several months and you can read it in entirety on the USDA.gov website. A public statement period was opened and people who wished to express concerns did. The organic community had a very strong voice. There were even meetings between stakeholders and the USDA to come to some “agreement” or coexistence. You can read about one such meeting on December 20th. Notice how the organic stakeholders are not selling out but strongly voicing their concerns and demands until the very end of the meeting (Not sure how that is selling out to Monsanto or to GMO’s). Yesterday, at least 30 days after the release of the report per law, the USDA made their final decision and fully deregulated the Round Up Ready Alfalfa. Here is an abbreviated version of the timeline. The USDA is in a tough spot. Any way that they would have went would have resulted in an outcry. But like all of life, sometimes we just don’t get what we want. You can ask our three and two year olds about that life lesson. So now that the decision has been made we can either act like my children (crying, complaining, etc) or act like adults and try to make the best of it moving forward. There are two things that we can do to continue to ensure the protection of organic farmers. First: We need to have Congress modify the Federal Crop Insurance Act. Currently, GMO contamination is not a covered item under that act. That simple move would put a lot of organic farmers at ease. Second: When the USDA made their announcement today, they also demonstrated that they are willing to work with non-GMO stakeholders. You can read a statement by USDA Secretary Vilsack here (it is only three pages of bullets lines and a good read, please read). In that statement two subcommittees are being reestablished: the National Germplasm Resources Advisory Committee (NGRAC) and USDA’s Advisory Committee on Biotechnology and 21st Century Agriculture. If you are an advocate for organics it is in your best interest to contact your national legislators and encourage them to demand the USDA to put a fair number of organic farmers and organic stakeholders on both those committees. So in short (hah) what does this all mean for our farm? Nothing much at this point. Round Up Ready Alfalfa can be planted this spring. But again, we don’t let our alfalfa go to seed so that shouldn’t affect us. The real issue will be if seed stock are ever affected. If that does happen and alfalfa seed is priced out of profitability, we will switch to a different forage base (ie soybeans, clovers, turnips, etc). We are organic farmers, and we are very inventive and progressive. And to clear up one misconception: Organic farmers are not allowed to use the GMO alfalfa. Not sure why people thought that? The USDA National Organic Standards remain the same. You will not find GMO’s in certified organic products. Lastly, don’t take my thoughts that I am making lite of this whole issue. In fact it has been a major discussion topic for us for the past several years. The fact of the matter is the USDA has made their decision and is asking for a coexistence between organic, GMO and non-GMO farmers. The organic community is still actively demanding more protection for organic farmers. I respect those farmers that feel they need this technology to be profitable. I also worry that our future maybe in flux, but that is why it is so important for us keep having our voices heard and continue speaking out. Those who say there cannot be coexistence are foolish and have no better sense than my children. Come to think of it my children are smarter than that. 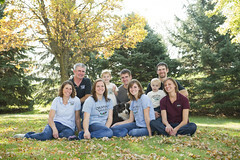 Zweber Farms is a 4th generation family operated organic dairy. We are proud Organic Valley farmer members and sell our milk under that label. We also specialize in sustainably raised beef, pork and chicken and sell it directly to customers in Minnesota.Visit our website to learn more, www.zweberfarms.com. Connect with us on Facebook, Twitter and YouTube. Thank you, thank you, thank you for being the voice of reason once again. production. As you stated, NOTHING has changed with regard to our policies. Should we stick our head in the sand and pretend that GE crops and Monsanto are just going to go away because we want them to? those who do not want this technology to invade their farms was the intelligent (adult) option. We never had that choice when corn and soy went GE. Well-written post. Thank you for your thoughts on this matter! Thank you for this. It spoke directly to the Q’s I had as both an organic consumer but also as one unfamilar w/the ins and outs of the GE alfalfa fight. It sounds like I can still drink my organic milk w/good conscience. Best of luck w/your farm. Are you in a state which protects your right to purchase raw milk? The movie is a real eye-opener, and the public needs to wake up. You can watch the movie in 10 minute youtube segments on my blog. Thanks for going through facts and reason. The way misinformation spreads with hyperbole and drama is astounding. Thanks for showing both sides of the issue! Very informative and useful! Thanks Emily, well done as always. One commentator that I heard said it best, “It is a choice.” Some will choose to use GMO’s and others will not. It is unfair to make either one do something that is not their choice. If we are responsible we can all do our job to please our customers. The market will always decide. If the market (Consumers) demands non GMO, and is willing to pay for it, farmers will produce it. If the market does not care farmers will use what works best for them. Americans respond much better to a monetary incentive than to a threat. Thank you for your very informative letter. I have been bombarded by misinformation from several sources regarding GMO alfalfa. I have two lovely little heifers, grass fed, and have been very concerned about GMO alfalfa. Thank you for being the voice of reason. I will be reposting your letter on Facebook, and writing a few letters to try and convince our elected officials to modify the Federal Insurance Crop Act. I don’t think it is foolish at all to say that there should be no co-existence between GM crops and the real thing. Genetically modified crops are not good for the genetic pool and the future of plant evolution. Also, think of all the chemical fertilizers, pesticides, and herbicides that are polluting the ground and the water supply. If we keep allowing people to grow food that way, eventually the planet will be desecrated, and there will also be no such thing as organic food (which is already sort of the case, as I learned in my plant bio class that something like 15-25% of organic produce contains pesticide residue) What people are trying to point out is that there is no such thing as co-existence with GM food, only contamination by it. It can’t be contained. The chemicals used to produce it get everywhere in the environment and the genes that have been spliced in from the animal and fungi kingdom are out there. I am not ignorant or uneducated. And that’s why I’m outraged that GM crops continue to be propagated instead of banned. The future of the planet depends upon the discontinuation of growing genetically modified crops and raising genetically modified turkeys and chickens. This blog post is very simplistic. Just because your alfalfa does not go to seed does not mean your field will not be contaminated by GMO Alfalfa. Alfalfa that DOES go to seed in a field miles away from you can be a problem. Animals, the wind, etc. can then carry that seed into your non-gmo field. This seed will then germinate and grow in your field. This will then be fed to your organic cows. With enough contamination your farm could loose it’s organic status through no fault of your own. This has ALREADY happened to grain growers in both the US and Australia. In both cases the organic farmer lost everthing. His grain would not be accepted by organic elevators along with grain fed to animals now being partially GMO the animals also lost their organic status. In Australia it only takes .5% contamination before the farm looses it’s organic status. ARE YOU WILLING to allow other farmers, who may not be all that small, to threaten your life and livlihood? There have been NO longterm studies of what the impact on animal or human health this crop will have. The EIS conducted by the FDA last 5 MONTHS. How can they know what kind of an impact the crop will have in 5 months. The FDA is relying on data from a company that wants to control the seed and the pesticide for this crop to tell the truth. Remember that Monsanto is the company who developed DDT, PCBs, Agent Orange and many other toxic chemicals that THEY SAID WERE 100% safe. Their internal documents said otherwise, but they hid them. When people were getting cancer and dying they continued to state these things were safe. It was not until there was so much evidence proving that these chemicals were toxic that the government acted. Now Monsanto tells us that inserting animal and insect DNA into a plant is 100% safe. Monsanto itself has KILLED animals in the past and sicked many people with botched GMO experimentation outside the USA. There is no co-existance with GMO farmers. The genetic material from GMO alfalfa will contaminate close to 100% of the feed stuffs for cattle in the USA. Grassfed Beef will no longer be able to be trusted unless the type of legume is specifically listed on the label. I will want to know that my grass fed beef was NOT fed any alfalfa at all. Thank you for your comment. I would like to address some of your concerns that you voiced in your comment. Natural seed migration: You are partially correct about the fact that even if the alfalfa seed we plant is certified 100% organic GMO seed could make its way from neighbors to our farm via wildlife. Wind is not a concern as alfalfa seed has not evolved to spread this way. While the potential for GMO seeds to make it to our farm and grow is real the reality is that risk is minimal. You said that .5% contamination costs a farm their certification in Australia, I don’t know what it is here but lets go with that as the hypothetical. Because we are rotating crops on our farm and renovate pastures regularly to provide the highest quality feed for our cows we are starting new every 2 years on cropland. This means if there was migration of GMO seed to our farm the levels of contamination would get reset to 0 every 2 years. No coexistence may sound like a great stance if you don’t have to work with people on the other side of an issue. Agriculture is a small world now a days with less than 2% of the population actively producing food. There is nothing wrong with opposing something and sticking with your values. There is something wrong with not realizing when its time to work together to come up with solutions that make no one happy (thats how you know its a good deal) We can continue to work to ensure that organic farms are protected and thats what we should be doing. We need organic supporters like yourself coming together with farmers to continue to demand protection for farmers. Thank you for being a strong supporter of organic farmers and sticking up for what you feel is right. I may add that established alfalfa has autotoxicity – meaning it supresses development of alfalfa seeds – thus new alfalfa from ‘foreign’ (potentially GMO-‘contaminated’) seeds won’t germinate in established alfalfa stands. A very well written post Emily! You have my full support for the two options you presented. The first has been needed for way too long and balance on the committees is best for everyone involved. Let me know if I can be of any assistance. So Emily is just going to hang her hat and go home to feed her organic herd some turnip tops? Without GMO free alfalfa seed there will be no organic industry. What Monsanto and other big bio-tech along with the USDA has done is struck a death blow to the organic industry. I’m certain once Monsanto’s GM alfafa gene contaminates enough of the organic produce in the country, new laws will be put into place to forbid the labelling of USDA Organic since nothing will be organic anymore – that way more Frankenfood can come on the market. Sorry you feel so defeated Emily, but your GMO-free turnips won’t save you. Well thought out and explained. This would open the door for organic farmers in areas with limited alfalfa production to enter seed production, after all necessity is the mother of all invention. I second Jeff’s comment and let me know if I need to rattle some cages on both state and national level. Great post! It really helped me to better understand this issue. You and your family do such a great job of patiently and eloquently explaining the organic farming world to those of us who have never been involved with it. Keep up the great work! What a whirl wind it has been with this issue. Great explanation. I think more people need to understand both sides of this issue and not get hung up on the emotions. You did a great job. I appreciate your innovation on your farm to provide consumers with choices when purchasing dairy products. Thank you for your timely, well-written post – and for publicizing on Twitter as well! Thank you so much for writing this. It is very helpful to have the point of view of an organic farmer in these issues. You have really helped an “ag-challenged” individual understand the issue and also what can be done. And your post is so POSITIVE. I really appreciate that. I believe, and so far evidence supports, that GMO plants can completely and utterly destroy the eco-system of this planet. We cannot afford to allow something so dangerous on the loose. I just read a great novel, The Windup Girl by Paolo Bacigalupi, that predicts one likely scenario, one I would like to avoid. I would love for all to read it and see whether they still want to take a chance on ruining this beautiful planet. Remember that our children and theirs will have to live with or die from the destructive agricultural practices we allow now. This is the time to draw the line. While I think it is nice that you would like to try to reassure people, I also think it is a bit uncalled for to call people “children” because they don’t believe that “coexistence” is a good idea or a long term solution. For most of us consumers, this is not about money, this is not about business its not even always about a life style choice. Rather in the case of myself and my wife, it is about feeding our family foods that we can be assured do not contain harmful pesticides and chemicals. Its about giving out kids the best possible chance of having a healthy and happy, knowing we are doing our best to keep chemicals known to cause cancer out of their mouths. For us this is about mindful consumption. Sure for you its about striking a deal because you have no other options as a business owner. But for those of us not in that situation, we are not children we are parents, we are the people who buy your products. I would have expected a little more maturity from someone in your place. You are right farming is a business for us. It is a business that has been passed down for four generations in our family for over 100 years, it is a business that doesn’t allow us any sick or vacation days, it is a business that we put the care and welfare of our animals and land often before our own needs, and one that we hope instills values and morals on our own children. Our business is our way of life. As a mother I worry constantly about what my children are eating and the environment they are in. I probably take twice as long to shop as other mothers, because I do know what each label means, and I do know what consequences my buying actions will have on our health, our society and our planet. As farmers we are on the front lines of protecting this beautiful planet and passing onto a children a healthy world. Less than 1% of the US population actually farms and about 1% of those farmers are organic. While it may seem noble and just to demand no co-exisitence I would rather have a voice at the table than non at all. It was HUGE that the USDA even considered talking with organic stakeholders before the deregulation. They could have easily done the deregulations without talking to our community and hearing our concerns. Yes, they didn’t take many of our concerns into consideration, but they did hear us and that again is HUGE and something that has never happened before. Baby steps are at least steps. For too long the organic community has been seen as “extreme” and not taken seriously. It is time that we gather together and continue to voice our concerns and deman protection for organic farmers and consumers. I am sorry that you felt I was being immature, but think the most mature thing we can do is show that we want a place at that decision table. By always rejecting any compromise, and demanding that everything we request is granted, will push us further away. I hope that you will continue to ban with us farmers. We are continuing our fight. Recently, OV announced that they will be joining others to sue the USDA over this issue. Hundreds of thousands of our farmers’ money and time (yes, OV is owned by us farmers) will be spent in this fight. I hope we can count on your support and at the very least contact your elcted offcials and let them know your concerns. If you are interested in learning how you can help more visit the OV website: http://www.organicvalley.coop. Thank you again for you support of organic farmers and organic products. It is wonderful to know people have a passion for the food that they buy. Ag today involves competing priorities of quantity, quality, and purity due to increasing population and dwindling farms. To be an absolutist for any of the three is to sacrifice another, and accept the consequences. The one thing that I don’t quite get is, if you’ve seen the documentary, The Future of Food, it is clear that, in fact, Monsanto’s GMO alfalfa seed does spread to neighboring farms, that it is not confineable. Monsanto has systematically sued farmers for “using” their patented GMO seed, even though these farmers grew it unknowingly due to the wind or bees.. causing serious financial ruin to them. This is the worry many of us have. Organic farmers are subject to the contamination of their crops because the GMO seed cannot be contained. To suggest that having insurance for this possibility does not present a strong argument in favor of this deregulation. Will we, as consumers, have insurance against it? How are we being protected? I’d rather our country consume healthy food than to be given a check as an apology for having made the wrong decision by deregulating yet another potentially devastating scenario. You are right, insurance is never the best solution, but it is a good start if we don’t have a choice in the matter (which it seems could be the case) The organic industry is still pushing for regulation and demanding more protection for organic farmers. We just learned that Organic Valley is joining others to sue the USDA. This means hundred of thousands of our farmers’ money (yes OV is owned by us farmers) will continue this fight. We hope that consumers will be just as supportive and at the very least continue to contact their elected officials and the USDA. It is not fair when consumer groups say we aren’t doing enough, when those very consumers haven’t done anything to help. It is good to be concerned about GMO contamination, but alfalfa is different than other crops because we don’t let ours go to bloom or even seed. Like I mention in the post, our main concern is alfalfa used for seed stock. That of course goes to bloom and then seed. Consumers can be reassured that with alfalfa there won’t be GMO contamination in the foods they eat. Other crops maybe another story, but I am not well versed in those since we don’t grow them and not comfortable commenting. Since seeds stocks are already tested for purity (ie GMO contamiation) the worse case will be that organic alfalfa seed will not be available for a year. If that happens our farm will have a few choices: choose to leave those fields currently in alfalfa in alfalfa and not rotate the crop, buy from other established organic alfalfa fields in the area or plant a different forage for that year. Since GMO contamination is not covered in insurance it is in the best interest of the seed stock companies to make sure contamintation doesn’t happen. What is unfair is that the organic seed producers will have to worry about this and not the GMO seed producers. I wish there were more regulations in that regard. Youcould help us by letting your elected officials know that you want consequences for those that allow contamination to happen to organic fields. Thank you for being a great supporter of organics and organic farmers like us. It is nice to know people like you are very passionate about the food you buy and feed your families.